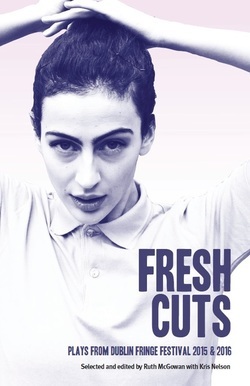 ​In 2016, Oberon Books published Fresh Cuts: Plays from Dublin Fringe Festival 2015 & 2016, a collection of eight plays which premiered at Tiger Dublin Fringe over the past two years. Half Light is just one of the exciting new works to be published in this compendium, making Fresh Cuts the first publication of Bombinate Theatre's work. "At once a beautiful exploration of childish imagination and a dip into the darkest depths of the adult psyche... an emotive, funny and adorable play with a few lumps of happy chaos thrown in for good measure - all in all, a great bit of theatre!" "Half Light breathes life into familiar analogies and metaphors, and is staged with an inventiveness and charm that utterly delights on multiple levels... This is a heartfelt reminder of the power of resilience during difficult times. A beautiful, engaging, and moving piece, Half Light has something to say to the adults and children of today alike." "clever, funny and utterly engaging... scarily good"
"Many try and fail to do what Molumby has done here... It’s a remarkably creative yet realistic portrayal of one family’s experience of mental illness... Half Light doesn’t pretend to have all the answers and because of that it triumphs." "Half Light is a family show that does not shy away from the dark... a lesson in the art of storytelling... a well‑crafted, insightful piece of theatre that is a pleasure to watch." ​"Fionn Foley plays our hero Robin with a wide-eyed innocence... A playful and smart production that will leave a smile on your face." "a visually rich production that’s a genuine pleasure to watch...smart, funny, and wonderfully engaging, courtesy of its two winning performances." "sparklingly funny...a charming celebration of creativity." "stirring...choosing not only to captivate but also to empower.."
Amelia McConville speaks with director Mollie Molumby, ahead of Half Light’s run at the New Theatre as part of the Tiger Dublin Fringe Theatre Festival. ​Fiona Smith catches up with Mollie Molumby ahead of Half Light's run at First Fortnight 2017.